Last updated: May 8, 2018 at 5:53pm by Savanah – $1.035 billion in profit was generated by the Massachusetts Lottery in the 2017 fiscal year, which broke the all-time record. State Senator Bruce Tarr introduced a bill (SD. 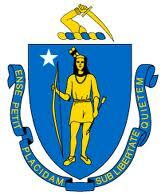 618) in late January of last year to legalize online gaming (poker and casino games) in Massachusetts. It’s basically a shell bill but something is better than nothing. The casinos that have received licenses, mentioned below, would be the only casinos allowed to offer internet gambling. The U.S. Department of Interior approved the Mashpee Wampanoag Indian tribe to build a $1 billion casino in the southeast part of MA. This deal took eight years to finalize and it has an estimated completion date of 2022. The $960 million MGM Resorts casino broke ground on March 24, 2015 with an opening date of August 24, 2018. The $2.4 billion Wynn casino will be located in the Boston area and is scheduled to open in June of 2019. Massachusetts is pretty strict when it comes to their gambling laws and penalties that come with it. However, they appear to understand the revelation in current technology and the benefits that can come from it, as well as being aware of their outdated laws in today’s world. We understand these laws can be hard to break down and understand, consult a lawyer with questions, but these are the backbone gambling laws within the state. As you can see, they are pretty broad in definition which leads to more confusion, and much more debate on what is legal and what isn’t legal. Will Massachusetts Regulate and Tax Poker or Gambling Over the Internet? Massachusetts is currently looking to regulate online poker and wreak the tax benefits for doing so. Ever since February 2013, Massachusetts legislature has continued to look at two types of bills that would open up online gambling in the state. The first bill focuses on the sales of lottery tickets over the internet, while the second bill includes online poker. The bills mention the Massachusetts Gaming Commission would oversee the handing out of licenses if this were to come to fruition. The bill also mentions the costs for obtaining a license, which includes very strict regulations to obtain one, and would cost $10 million upfront with additional monthly fees that have not yet been determined. It mentions the state would only allow three online websites to operate and obtain a license which would be valid for ten years. Many think two will go to MGM and Wynn and the third to one of the Indian Tribes. 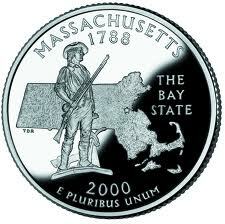 Massachusetts has the fourth highest debt, estimated total $129.6 billion, than any other state in the USA. With this large debt, many believe the state will pass and regulated online gambling/poker in the near future to help lower their debt by the tax revenue they would receive by making this activity legal. State Lottery – In 1971, legislation created the Massachusetts state lottery. It was created to provide revenue for the 351 cities and towns in the Commonwealth. The first ticket was sold in 1972 and the first drawing had seven people win $50,000. In 1973, the State Lottery Commission took over bingo which is now known as the Charitable Gaming division. Visit their website to learn more about the Massachusetts Lottery. Pari-Mutuel Wagering – The Division of Racing is responsible for regulating the state’s horse racing industry and implementing the statutes prescribed which includes the rules, regulations and conditions under which all horse races at horse racing meetings shall be conducted in the Commonwealth. The racing industry contributes significantly to the Commonwealth’s economy. Indian and Commercial Casinos – In November 2011, Massachusetts passed a Gaming Act to introduce casino gambling into the state. The Massachusetts Gaming Commission (MGC) will oversee the issuance of three licenses to casinos and one slots parlor. MGM was issued the first license on June 13, 2014 ($960 million casino scheduled to open in late August of 2018) and Wynn the second on September 16, 2014 ($2.4 billion and is scheduled to open in June of 2019). The slots-only parlor gaming license was issued to Penn National Gaming. Find all the latest casino information at www.boston.com casinos page. – The largest in terms of wagers is beano, also known as bingo. The most current figures listed show that $33 million was collected in wagers at 157 different bingo games held in the Commonwealth. Raffles – The second most used form is raffles, generating $19.7 million in annual gross revenue. They are sold at a wide variety of different events in which individuals purchase tickets to participate in a blind drawing in which some of the ticket holders will win a prize. Charitable Gaming Tickets – Charity Game tickets are another popular form of charitable gaming, bringing in $13.2 million, which are distributed by the Massachusetts Lottery. These “pull tab” tickets typically sell for $1. Bazaars – Finally, charitable organizations sometimes use bazaars, or better known as “Casino or Las Vegas” nights, for fundraising which made $431,000. The revenue generated by this method can provide a majority of the annually funding for charitable organizations.